Human progress depends on our ability to tap into the entrepreneurial spirit that lives within each of us and channel the unique talents, passions and ideas we each possess toward creating good in the world. A community of student, academic and business leaders committed to using the power of entrepreneurial action to transform lives and shape a better more sustainable world. us—a group of people who see themselves connected in some important way; individuals that are part of a greater whole. 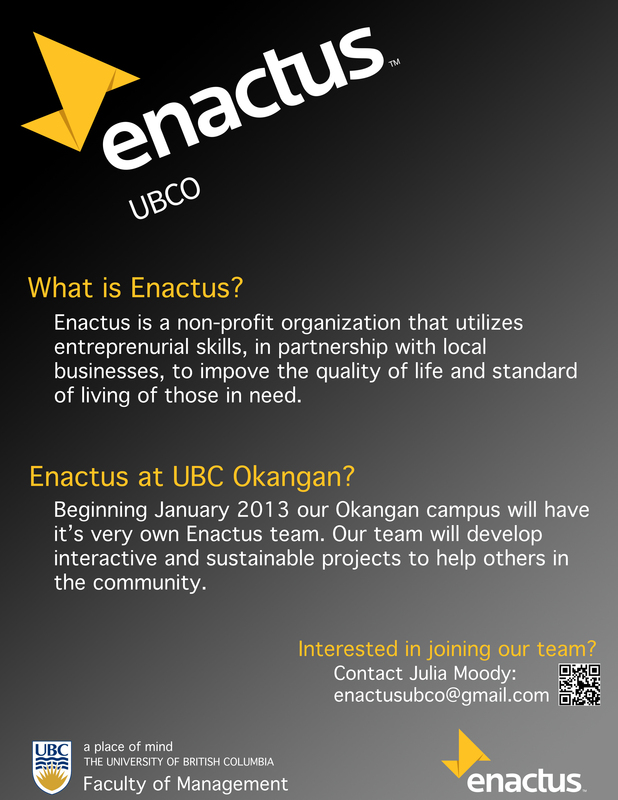 Would like to know more about Enactus but can’t find a home page. Anybody? enactusubco@gmail.com for now.. Website is in process… Contact Julia Moody…. More news soon.